1. The Shift of the Ages film project, with the support of Common Passion, is pleased to announce the release of the Shift of the Ages film: an epoch tale…a Mayan journey through time. People around the world will be able to view the film online in high definition through the Shift of the Ages website starting Friday December 14th, 2012 on http://shiftoftheages.com. 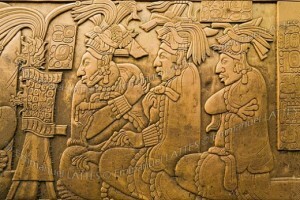 True to the Maya way of sharing wisdom and ceremony, there will be no charge for viewing Shift of the Ages. It will be offered freely with donations graciously and humbly accepted. Now is the time to begin organizing your friends for a group viewing, where you will be able to stream the film through your computer, connect to a big screen and sound system and enjoy the experience of Shift of the Ages, which has literally been over 5,000 years in the making! 2. If you are in the Los Angeles area this Thursday the 13th or Sunday the 16th, we will be screening Shift of the Ages in two theaters. Tata Cirilo “Wandering Wolf” Grand Elder of the Maya will be there with us, as well as Grandmother Elizabeth Araujo and Chief Phil Lane, Jr.
Thursday Dec. 13th at the Arclight Cinema in Hollywood, for our World Premier: 9:30 PM show may still be available. Sunday Dec. 16th at the Barnsdall Art Park Gallery Theater in Hollywood, two screenings at 6:00 PM and 8:30 PM. At 3:00 PM in the afternoon, the elders will perform a traditional Mayan ceremony in the park in front of the theater. 3. We would be quite pleased and appreciative if you could help spread the word about the film’s upcoming online release on Friday as well as our Global Concordance Call Series (http://commonpassion.org/common-passion-concordance-calls-shift-ages) that goes into February 2013.